Grow your faith through personal and community prayer, and be transformed through intentional spiritual learning. Catholic Prayers - From the USCCB. Basic Catholic prayers, Prayers for seasons & holidays, Prayers from birth to death, anything you need. 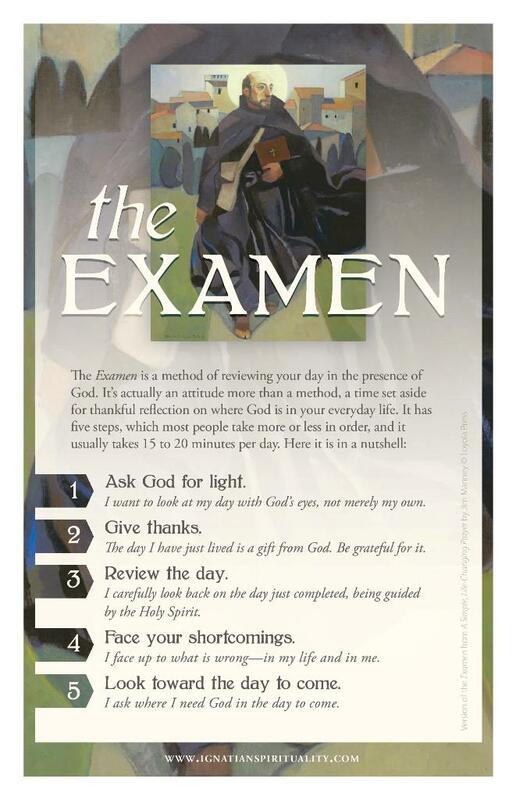 The Examen - From St. Ignatius of Loyola, the Examen is a thankful reflection on where God is in your everyday life.